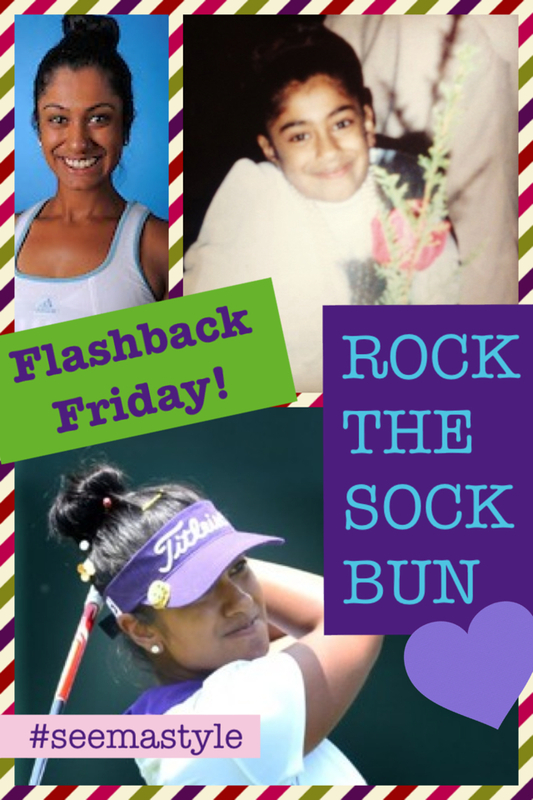 Flashback Friday: ROCK THE SOCK BUN! We girls know how to Rock the Sock Bun! It is the hairstyle that with a pair of dangly earrings,or fun studs, can look like a million bucks! As you can see, I have been rocking the sock bun since I was a little girl:) I guess it is just what we do as girly-girls!!! Cute hair-do’s are timeless! I love wearing a sock bun when I play golf. If it’s a windy day, I can pull my hair up and back and it doesn’t get in the way. If you put your bun high enough on your head, you can wrap your visor right around it. You can even jazz your sock bun up with a ribbon or decorative hair tie, maybe even a flower. ← ZEBRA PRINT IS TRENDY! A Box, a pair of socks. Sox in the box is an idea at your feet. You see, touch, choose.